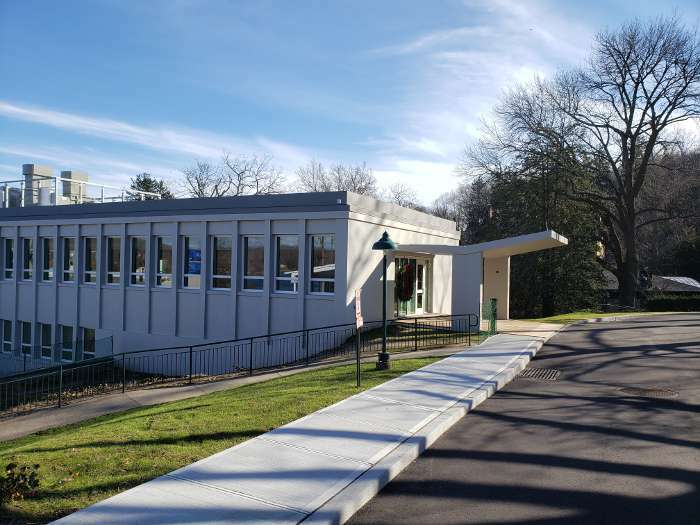 New addition to existing laboratory on campus of Cold Spring Harbor Laboratory on Long Island. 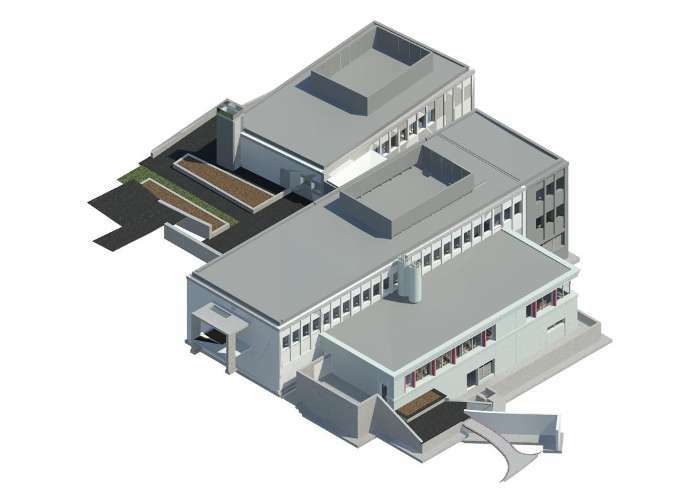 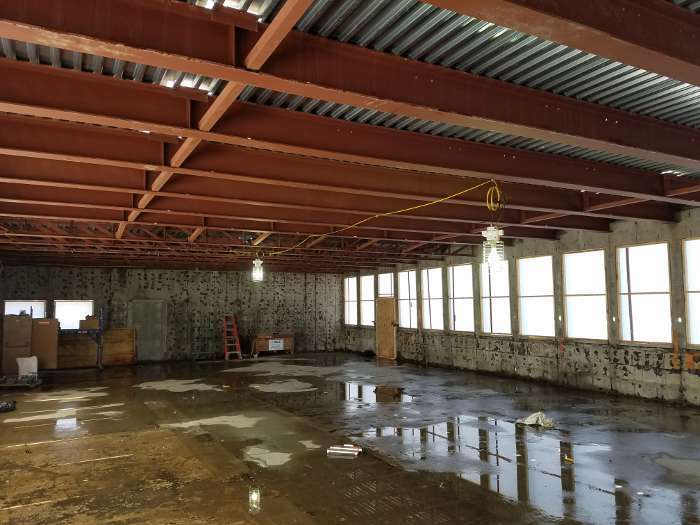 The $75M project includes the existing structure being a renovate-as-new building where all finishes, electrical and mechanical equipment will be replaced. 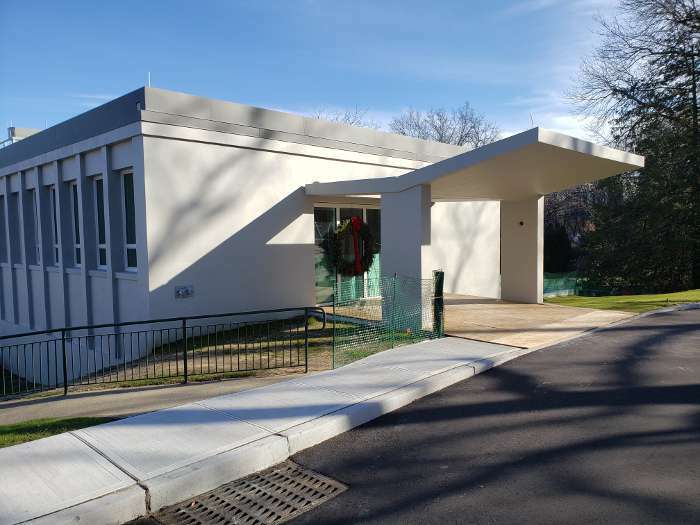 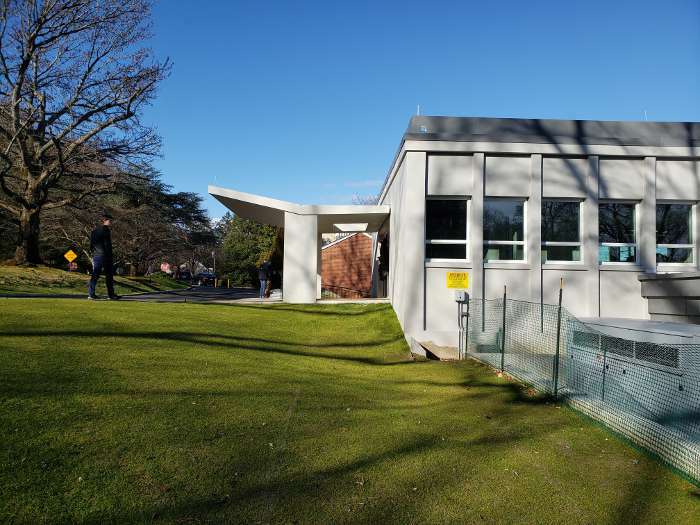 The renovation project, designed by Centerbrook Architects & Planners, completely updates the interior and exterior of Demerec, a mid-century modern laboratory that has housed four Nobel Laureates. 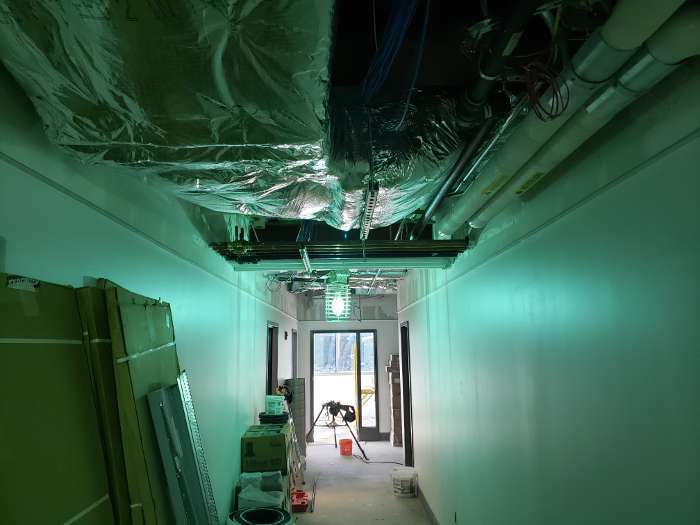 Demerec will be home to the new Center for Therapeutics Research, which will foster advancements already underway in breast cancer, leukemia, autism, obesity/diabetes and lung cancer therapeutics. 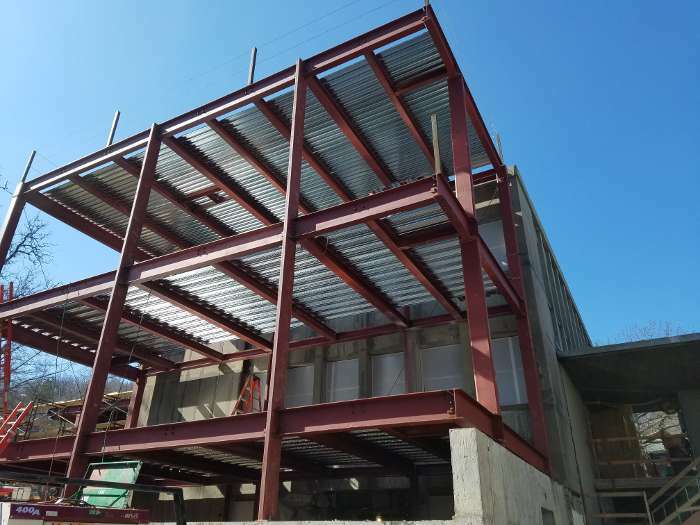 The existing structures are cast-in-place concrete two-way slab structures supported by concrete columns with shallow floor-to-floor heights. 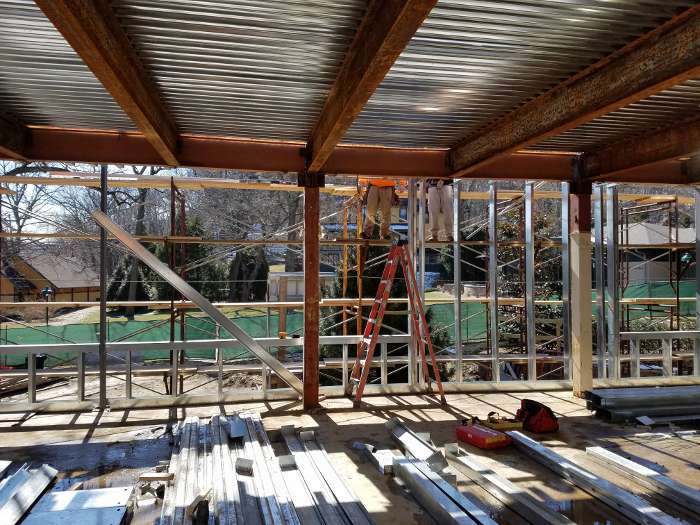 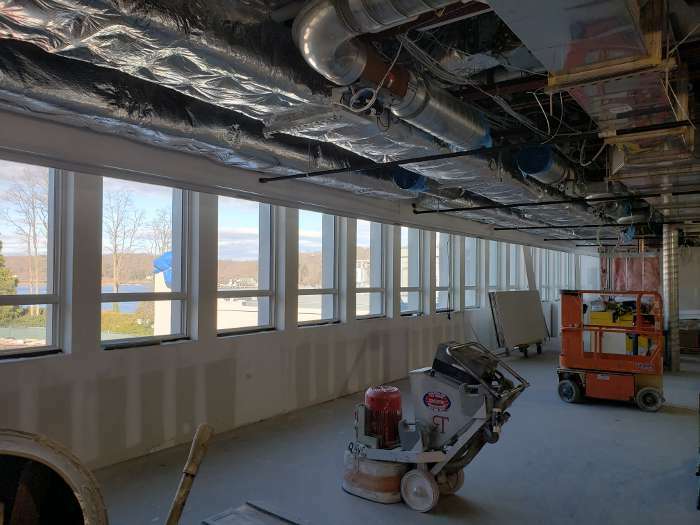 The new addition was required to match the existing floor to floor heights of the existing building while maintaining structural systems that were shallow enough to accomodate the extensive mechanical and electrical systems necessary for a research laboratory. 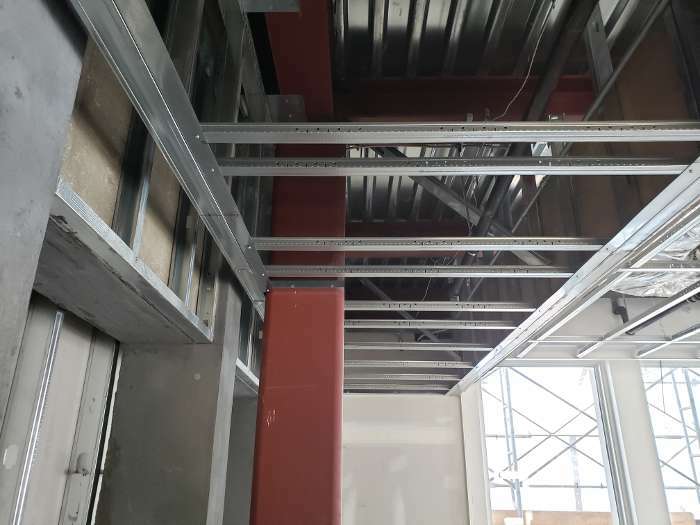 Furthermore, numerous large holes in the two-way slab system were necessary to install new elevators and duct penetrations.